Stay Active, Be Fit, Have Fun! Owners Marjo and Hannu Selin, world famous bodybuilders and fitness experts, have been in personal training for over 35 years. They, along with their team of certified fitness instructors will design you a fun, safe and effective program. At REPS the motto is: ‘Stay Active, Be Fit, Have Fun!’ With regular and consistent exercise regimen you will feel healthier and more energized. It’s a real life gift you give yourself and your loved ones every day. The Mission of REPS Training Center is to provide a caring community for people to be active, improve health and live life to the fullest. Owners Marjo and Hannu Selin attribute REPS’ five-star quality and reputation to their personable staff’s professional diversity, knowledge and passion for living healthy. “We are dedicated to promoting longevity and wellness, and we stay positive and happy”, says Marjo and promises us that “exercise is a mood booster. It can be a cure-all in a sense that no matter what kind of challenges and stress you face in your daily life, a workout session always makes you feel better”, says Marjo. 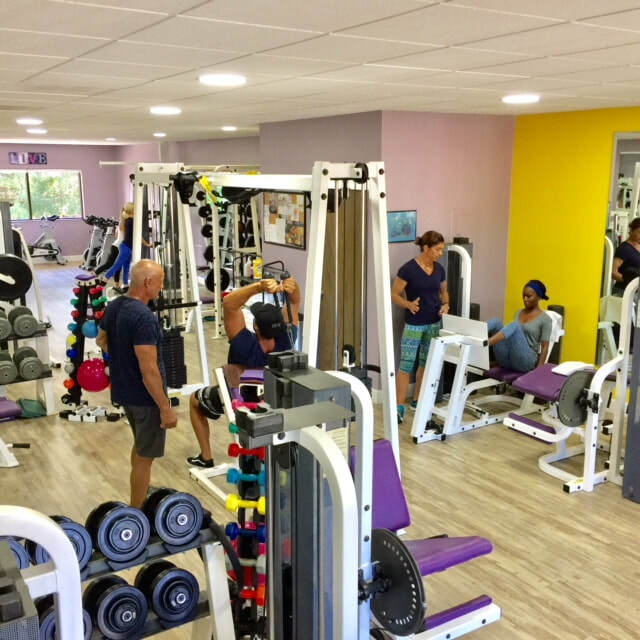 REPS at the Kihei Pacific Plaza is designed to enhance the easy-going and friendly private club atmosphere that has made it south Maui’s premier training center since 1995. At REPS you pay per session or a class; no initiation or memberships dues. Your session fee includes facility & equipment, water, towel, and music service, additional use of cardio-vascular machines, and instruction and supervision by a certified trainer. You can pay and do just one session at a time, or sign up with 6- or 12-session package rates offered with advance scheduling privileges and no expiration dates.